Abstract: There are at least two impulses in the whole life. One is for love without concerning consequence, and the other is for a travel without delay. Do you have a travel without delay? When it comes to travel, there are numerous factors which need to be taken into consideration. And, the choice of method used by travelers is a hard nut to crack. 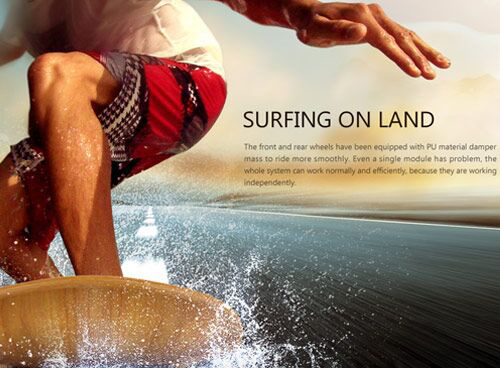 The ticklish question will be solved by Airwheel M3 electric skateboard. Just as the saying goes: There are at least two impulses in the whole life. One is for love without concerning consequence, and the other is for a travel without delay. Do you have a travel without delay? When it comes to travel, there are numerous factors which need to be taken into consideration. And, the choice of method used by travelers is a hard nut to crack. Therefore, you can take it to the train, the subway without any trouble. When you get off the train, you can ride motorized skateboard to anywhere you want with the utmost speed of 18km/h. Secondly, Sony battery installed provides two kinds of electric capacity, 81.4Wh / 163Wh. According to different demands and requirements, the suitable type can be selected. Thirdly, thanks to the modular design, Airwheel M3 complete skateboards can work normally even there is one modular going wrong. Finally, if you have little interest in the maple board, it can be replaced by the wood you like most and paste your favorite paster. Because of the TPU material damper mass, Airwheel M3 wireless remote control self-balancing scooters is high elastic and shock absorption for TPU’s physical performance is good and has strong anti-tensile strength. Apart from that, the 2.4 G wireless remote control is also a highlight. It can realize infinitely variable speeds and the effective distance reaches 10 meters. 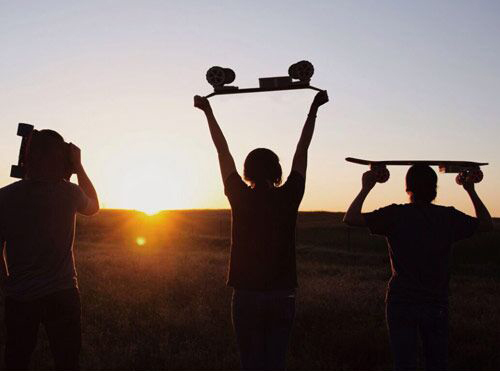 Airwheel M3 provides skateboard and travelling lovers with chances to assert their individuality adequately. Form now, walk out of your house and take a tour with Airwheel M3 electric skateboard.